Well, not to toot our own horn,  but Frankenmuth, home to the World’s Largest Christmas Store, does know a thing or two about holiday light decorations! Not only do we have Christmas Lane, which shines bright 361 days a year with over 100,000 sparkling lights, but we also have the entire town of Frankenmuth filled with Christmas magic from mid-November to the end of December. Frankenmuth kicks off the Christmas season on November 23 with the Holiday Celebration and Candle Walk that begins at Riverplace at 6 p.m. and ends at the Chamber Platz with the lighting of the tannenbaum. 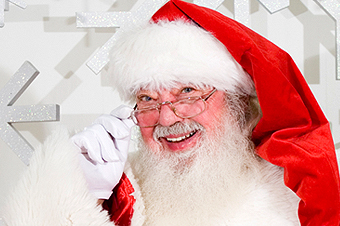 Even better, Santa Claus stops by for a visit with kids at the Chamber Pavilion from 6:30 p.m. – 8:30 p.m. If you were flying over Michigan and looking down, it would be very hard to miss Rochester’s Big Bright light Show on their main streets. Each building is brightly lit with 1 million points of lights in every color of the rainbow. This extraordinary light display begins November 5 (5 p.m. – midnight) and continues through the New Year until January 7, 2019. No purchase necessary, just bundle up and enjoy the downtown Rochester area. Nothing can be more unique than seeing Christmas lights at the Detroit Zoo! Each year the zoo hosts the Wild Lights event that has over 5 million LED lights! Trees and buildings are illuminated along with 265 sculptures throughout the front half of the zoo. The spectacular event goes on between 5:30 p.m. and 9 p.m. November 18-20, 25-27 and December 1-4, 8-11, 15-23, and 26-31. You do need a ticket for this event so make sure you buy a ticket online (they are cheaper) or at the front gate. If you thought the Michigan International Speedway was just for NASCAR, then you are mistaken, my friend! The speedway’s 5-mile track is transformed into the Nite Lite Show during the holiday season with over 500,000 lights, six Christmas trees (made completely of lights) and a “12 Days of Christmas” themed display. Plus, Pit Road will have four tunnels that guests can drive through. Stay warm and toasty in your car as you drive through the Nite Lite Show November 22 – December 31, listening to Christmas music and enjoying the wonderful Christmas scenery. There is a charge per vehicle so check online to see costs. Join over 80,000 people for the annual Silver Bells in the City tradition in Downtown Lansing! The capital city glows with thousands of lights and an Electric Light Parade. The Electric Light Parade features lighted floats, two illuminated marching bands and the grand arrival of Santa! The town is filled with village vendors that can help kick-start your holiday shopping. PLUS, the town lights the official state Christmas tree and celebrates with a community sing. Make sure to check out this attraction that happens one night each year – this year it’s Friday , November 16! Want to experience living in a winter wonderland that’s lit up with more than one million lights? Then you must take a drive through Hines Park and see the Wayne County Lightfest. This Lightfest begins on November 15 and features an infinite tunnel of colored lights with more than 47 giant animated displays. It is the Midwest’s LARGEST and LONGEST drive-through holiday light display – approximately 4.5 miles long! Best part is once you reach the end of this wonderful drive, you can visit Santa’s workshop and grab a keepsake photo with Santa. So … grab some hot-cocoa, crank up the heat in the car and enjoy the Christmas spirit of Wayne County. Enjoy the holiday season with thousands of lights showcased throughout Hopkins Park, Bear Lake, from Thanksgiving weekend all the way through New Year’s Day. Sparkle in the Park has around 50 holiday displays including angels, Christmas trees, Santa, snowmen, a salute to troops and various Christmas scenes! Enjoy the opening night of Sparkle in the Park with FREE tailgate chili, hot cocoa and cookies courtesy of Bear Lake Community and – best of all – a visit from Santa! Sparkle in the Park is open nightly from 5 p.m. -10 p.m. This year Battle Creek has joined the historic International Festival of Lights with the Battle Creek Winter Festival of Lights for one big event! Guests will enjoy all the sparkle of the colorful lighted displays along Battle Creek River and the spectacular “Twelve Days of Christmas” display located on the back lawn of W.K. Foundation from November 24 – December 22. This wonderful festival will also be filled with special entertainment, games, music, food and holiday cheer! All activities are free and there is always something for all ages to do at this festival. Come and enjoy this mile-long light display at the Calhoun County Fairgrounds featuring special lights and animated displays! The Merry Mile begins November 24 and goes to December 30, Wednesdays through Sundays only, from 6 p.m. – 9 p.m. In addition to the exciting light display, they also have an artisan market and a live Nativity scene! The Merry Mile costs $6 per car and $10 per bus with all proceeds going to the Calhoun County Fairgrounds. Start the Christmas Season off right with a walk through the Holiday Trail of Lights at Davison Township’s Williams Nature Center! Enjoy seeing 100,000 lights over a quarter of a mile while listening to Christmas music! Walking the trail of lights is $1 per person or you can do a Horse Drawn Carriage ride at $10/$12 per person AND for one special night (December 13, from 6pm – 7:30pm), all four-legged friends are allowed to come and join in on the holiday fun with the Tails ‘N Trail of Lights (Resident: $5 per person; Non-Resident: $7 per person)! The Holiday Trail of Lights can be enjoyed December 15, 16, 21-24, 28 and 29. How about trying to re-create your own mini light festival?! Check out our HUGE light selection online to find the perfect sets of lights to give your home an unforgettable holiday look.